We don’t like to discuss social class, period. Perhaps it’s a relic from our British independence. When Americans talk about class what we’re really talking about is money. We believe that if you have a place to live and that place is not a castle, you are middle-class. Everyone is middle-class; it’s like being above average. For some the designation is a badge of honor, for others it’s a disingenuous humility. 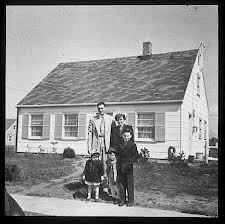 Periodically an elected official or government agency will declare what the economic threshold is for middle-class. Sometimes they even include the ceiling on the perimeter. It really doesn’t matter as everyone wants to call themselves middle-class. What we deign to call ourselves is hardly significant. Clearly it’s important to us, but doubtful that it’s important to anyone else. Introduce yourself at parties as a stay-at-home actress/scrapbooker/snackatarian and note how quickly the interviewer resumes talking about themselves. When classifications matter is when they’re used to make larger points or policy. By viewing economic class as an ideal rather than a reality we risk working against our own best interests. Recently we’ve begun to embrace discussing the economic upper-class; we now call them the 1%. But we still shy from identifying or discussing the working-class. During the most recent presidential election we used terms such as “working families” which is close, but mostly just conjures child labor. We also have started using the term “working-poor” which has more to do with a livable wage and full-time employment opportunities than an economic class. There are wage, tax, healthcare and many other public policies that potentially affect the working class more than any other group. It’s not that surprising that we’ve evolved to this point. There was a time when we discussed class irrespective of income. People came from a working-class background, or they were middle or upper-class. However, we used the terms with hushed voices and a bit of self-consciousness. We are a culture obsessed with the outcomes of these delineations but hesitate to discuss the cause. We spend a great deal of time trying to make our country abide by social middle-class values but don’t label them as such. (Ironically the United Kingdom, the mother ship of the class system, views middle-class values as something to be avoided.) It’s interesting that in a society that enjoys talking about the melting pot, diversity and inclusion, we feel rather strongly that everyone should really embrace the same values. It’s why we all identify as middle-class. Americans are averse to the social class system (but we do obsess about the Royal family. It’s all so confusing this relationship we have with the homeland.) We see class not as static, as do our friends across the pond, but as something we transcend. We are a pull yourself up by the bootstrap kinda country. Where you’re born in not where you are to stay (unless it’s at the top.) Therefore when we talk about class we tinge it with aspiration. It’s like calling someone a “bride-to-be” or “rising senior.” It’s about where you’re going not where you are. But what you call yourself and how you see yourself are two different things. How you identify, at a party or elsewhere, is immaterial, but it matters a great deal politically. Too many of us support candidates and parties who are most definitely working against our best interest because we want to identify with them. Some candidates intentionally make themselves very relatable to the working-class but are no friend to the policies that (disproportionally) affect the group. There is an old adage that you should dress for the job you want (not the one you have.) When it comes to voting; you should vote for where you are, not where you hope to be. The BBC has taken it upon themselves to redefine class. ‘Well of course’ you say ‘and we do love Downton Abby, Call The Midwife and Mr. Selfridge.’ Yes, those decadent and indulgent shows are lavish examples of the British class system in play. But I refer instead to the questionnaire the BBC posted online that over 160,000 completed. Ignoring for a moment the completely unscientific method of this ‘survey’ and also putting aside the very stark reality of who completes online surveys, let us instead consider this tricky terrain. 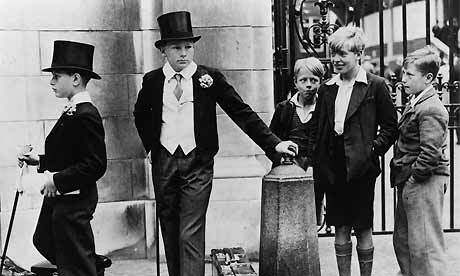 The British have always been quite transparent about their views and demarcations of class. What (and where) one is born into is often where one stays. There are examples of upward mobility in British society (beyond that of Eliza Doolittle.) But for the most part, where you started is where you’ll stay. If for no other reason than the British are wonderfully observant of clues. (Hello? Sherlock, Miss Marple, Inspector Lewis, anyone?) The slightest hint of a flat ‘a’ or the improper wearing of wellies, and they’ve got you pegged. They have graciously exported this gift to previously colonized locales. You could probably travel the globe and identify where the United Kingdom has ruled simply by observing the (seemingly) arbitrary ‘you’re in’ you’re out’ class systems. Americans have always prided themselves in eschewing this structure. We still like to fancy ourselves the little rebels who fled from the tyranny of such structure. The truth is that what we do is less honest and more destructive. We pretend that social class doesn’t exist. Oh, we’re happy to discuss real dollars and sense. We take great comfort (or distress) in determining if we economically fall into the middle-class. Politicians love to talk about the middle class. We don’t talk of the lower class or even working class anymore however. No, we call it ‘working families.’ It doesn’t matter if it’s just one person in that ‘family’ or twenty. It’s funny how liberal we can be discussing families in terms of poverty levels but not in terms of legal union. Taking pains to never associate class with anything but money creates problems. To discuss class in terms of values and cultural proclivities is anathema to Americans. We discuss education and achievement in terms of poverty which is often a thin guise for race. We discuss poverty and race as if they have anything whatsoever to do with achievement, which of course they don’t. There is nothing about any race that impacts learning. There is nothing about how much money a household has which impacts learning. Underfunded and improperly staffed schools impact learning, as do households in which learning is not a priority. We avoid discussing public health and lifestyle behaviors in terms of class. We think nothing of imposing middle values on lower class people, but we’ll never admit that’s what we’re doing. Our entire social and child services structure is built on that very premise. It’s important to Americans to ignore the real differences of class. But yet we’re wedded to creating a very us vs. them culture. We’re much more comfortable attributing our opposing outlooks and proclivities to religious or political ideals. Sociologists (versus online questionnaires) often explore the gravitation of like-peoples. (Think: lunchroom table configuration studies.) Much more often than not the ‘like-people’ means people of our own religious and ethnic group. But outside of laboratories and research studies what you’re most likely to find in the real world, is that people gravitate towards those of their own class. Being of the same racial/ethnic/religious group is less of an indicator of our shared values than that of class. Would the Rothschilds understand the seder at Sadie’s on Orchard Street? Of course, but after the seder (at 2:00 AM) what in the world would they talk about? If you take a look around at the people with whom you feel most connected they are those with similar values and cultural proclivities. They don’t have identical incomes, they don’t worship in the same way, and their complexions vary in hue. But you all share a similar outlook and a view of the world. That’s class.